How to draw wood dragon video tutorial and step by step. 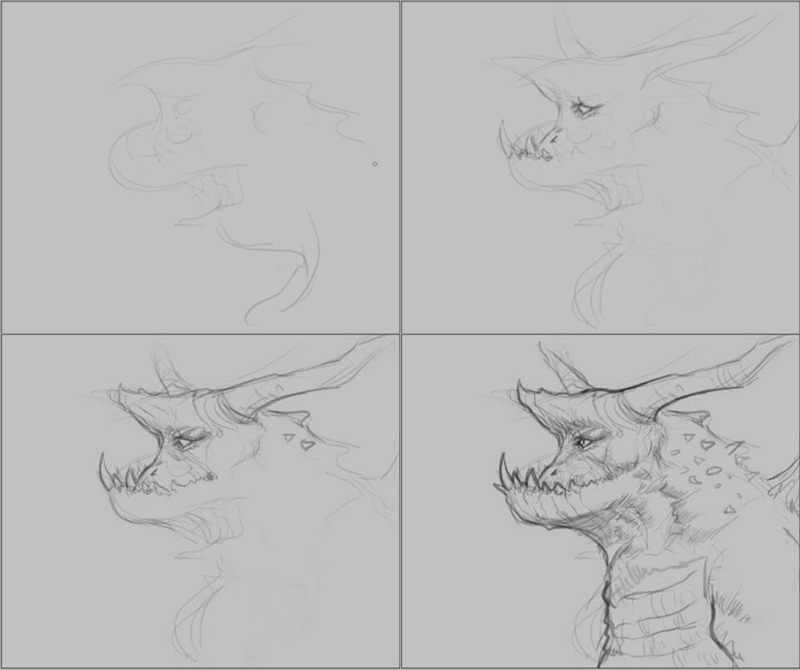 Drawing and sketching Dragon creature monster lesson 16. fantasy concept step by step video tutorial short and easy lesson from professional concept artist Xia Taptara. 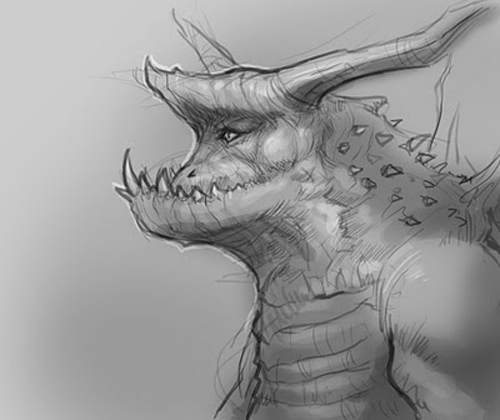 Drawing and sketching variety of different fantasy sci-fi creature monster designs. 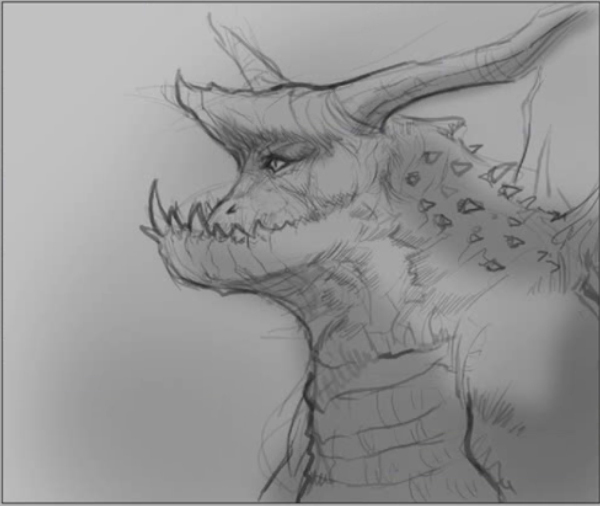 This drawing, painting video tutorial shows you from basic sketching to finish Dragon creature monster #015 drawing quick concept style for comics cartoon illustration, manga, anime. The video demonstrates how to quickly create an efficient concept design from concept idea into visual. Quick and easy instruction from drawing face and body of Werewolf concept design and illustration: Step by Step concept design sketching and drawing online lesson. Watch the video tutorial how to draw a wood dragon. Step 1, I sketch out a really rough shape for the dragon head from the side view. Step 2, I begin to define its face more then I add its under-bite with many big fangs. Step 3, I sketch out more detail on the face and now it is almost complete. Step 4, I then finish drawing the rest of the face and upper body. Watch the video tutorial for more in depth detail of how to process.